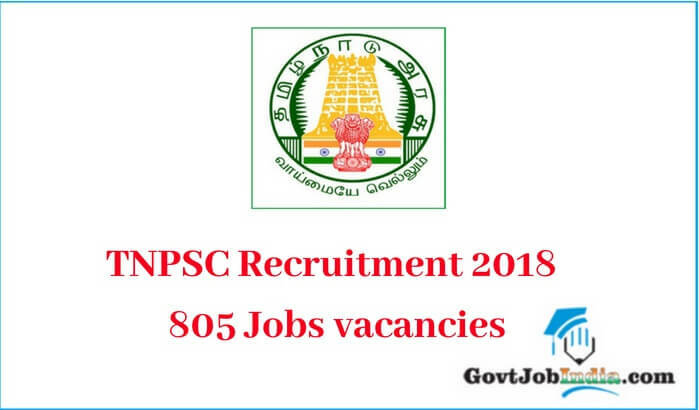 TNPSC Recruitment 2018 – Tamil Nadu Public Service Commission (TNPSC) has issued a recruitment notification for the posts of 805 Assistant Horticultural Officer for 2018. Interested candidates may apply online through the official website by filling out the application form before the last date. 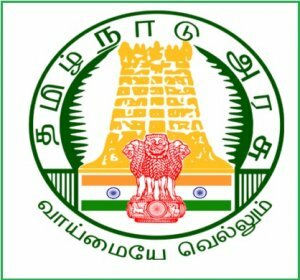 The TNPSC Job recruitment 2018 is a great chance for all applicants looking for a govt job in Tamil Nadu. Do the registration for the TNSPC Recruitment now! But make sure to check out the eligibility criteria and other important details of the TNPSC Jobs here. And if you are genuinely interested in securing this fabulous career, then make sure to start preparing for the TNPSC Recruitment 2018. The latest employment news in India has given out this vacancy notification and people from all across the state are hurriedly applying for the TNPSC Recruitment 2018. If you want to apply for the TN PSC Recruitment before the deadline runs out, then make sure to click on the direct link to apply for the TNPSC Job vacancy 2018. The application form along with the various vacancy details like educational qualifications required, age limit, selection procedure, salary scale etc. are given below. Want to know the eligibility for the TNPSC Recruitment 2018? Here, they are given in great detail for your consideration. The candidate needs to have Passed Higher Secondary Examination / 12th Pass . Must have completed 02 years Diploma course in Horticulture in the Tamil Nadu Agricultural University approved institutions. Must have fluent knowledge of the Tamil Language. The candidates need to be of Indian Nationality. The candidate must be a resident of India. Given down below is the selection procedure of the TNPSC jobs is . Check it out for preparing for the TNPSC Recruitment notification 2018. The pay scale details of the TNPSC recruitment are given down below. Enter all the details of the TNPSC Application form. Next up, upload a copy of your recent picture. Check all the details that you have uploaded, to avoid any errors in your admit card. Attach all the scanned copies of your documents. Press the submit button and you are done with the TNPSC Recruitment 2018 process. The authorities will release the admit card for the written exam of the TNPSC Recruitment 2018 2 weeks before the written exam starts. So make sure to bookmark this page for additional updates about the TNPSC Admit card for the year 2018. We will put the direct link for downloading the admit card right here on our website. The result for the TNPSC Recruitment will be out within a month or so of the exam being held. So make sure to pin this site to your bookmark list so that you get updated when the TNPSC result 2018 comes out. The important dates for the TNPSC recruitment 2018 are given down below. You can glance over them for important updates about the TNPSC recruitment. The TNPSC Recruitment 2018 information is given above. Check out the other recruitment notifications or Tamil Nadu govt jobs here. If you like this post, make sure to subscribe to our website by entering your email address and you will get notified every time we post about the latest govt job in India. Bookmark this page for additional news about employment and about establishing a secure career in the govt sector of the country. Also, do comment down below if you have any doubts regarding this vacancy or any other vacancy and we will get back to you as soon as possible.